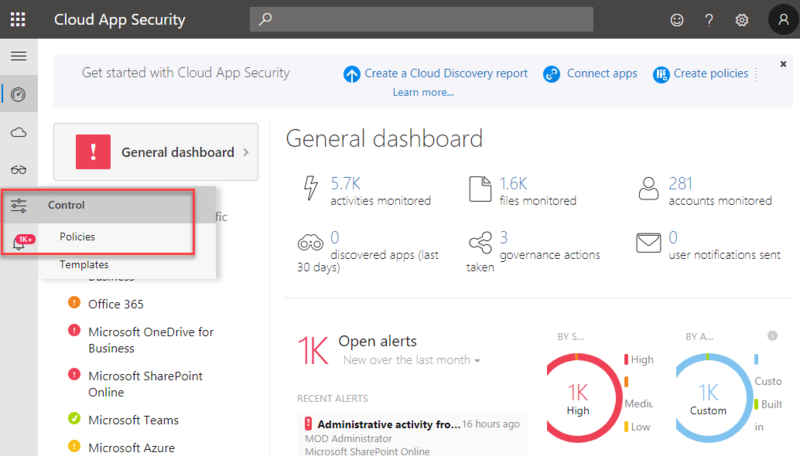 Azure Cloud App Security is a great service to gain visibility in to your cloud apps and its data. It helps to identify security threats and take relevant actions to mitigate those based on policies. • System will place a tombstone file in original location. This file includes data which will help to releases the file. • Before start with polices, we need to get cloud apps connected. 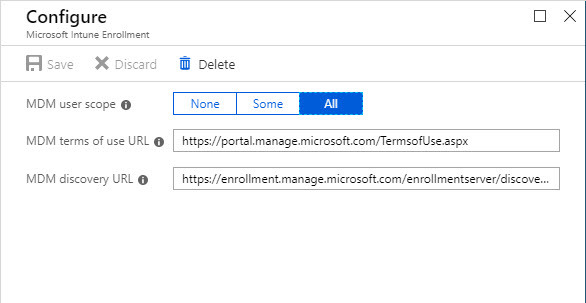 You can find more details under https://docs.microsoft.com/en-us/cloud-app-security/enable-instant-visibility-protection-and-governance-actions-for-your-apps . 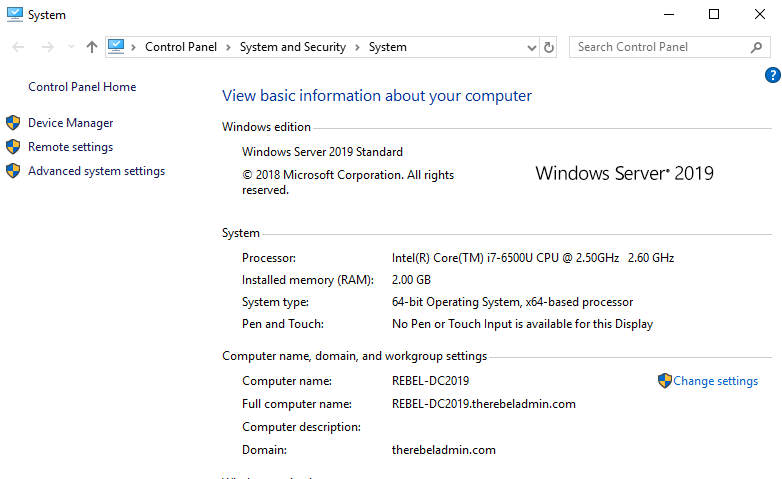 In this demo I am going to use Office 365 and I already got it configured as connected app. In this demo I am going to setup file policy to recognize files with credit card details. 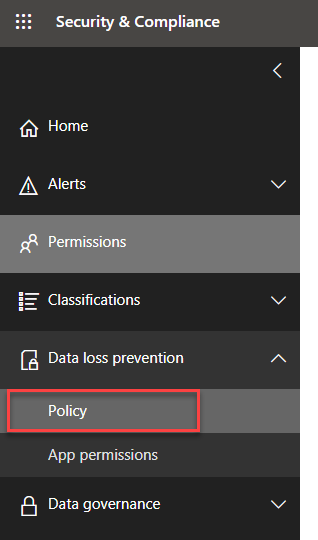 If policy finds a matching file it will automatically move it to admin quarantine. 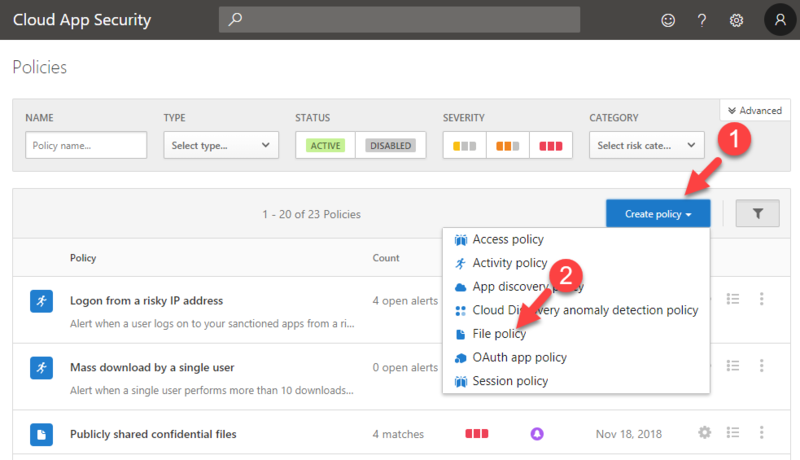 Cloud app security also have a pre-built policy to detect files with credit card details. If you only looking for credit card details, I recommend to use that existing policy. 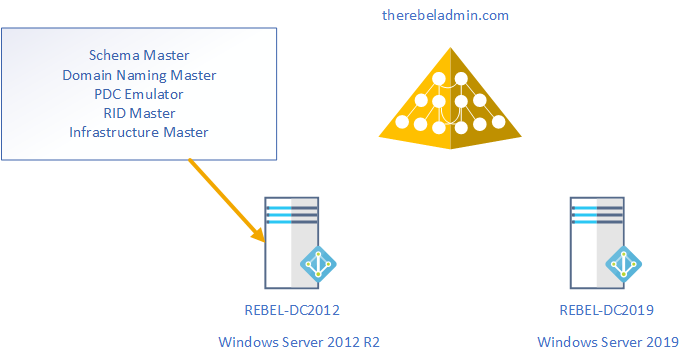 purpose of this demo to show how to create custom file policy with admin quarantine. 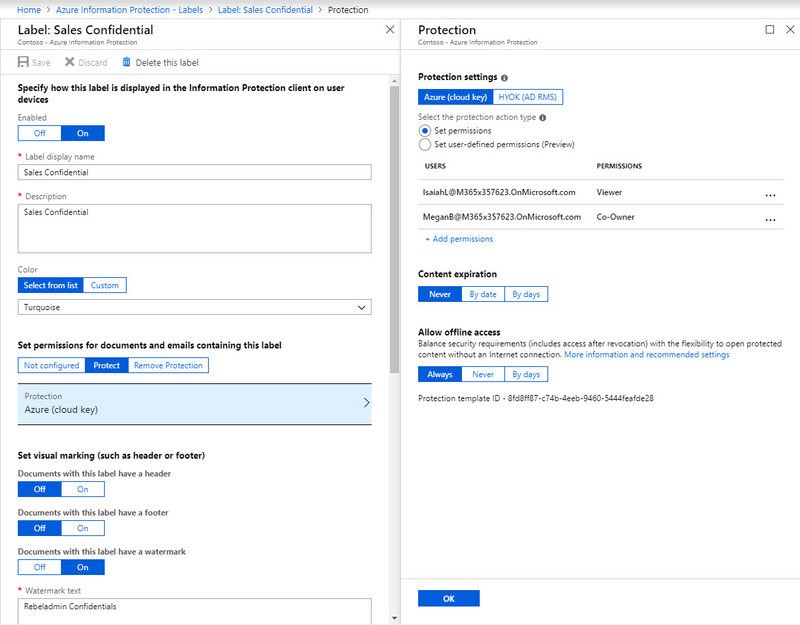 In this blog post I am going to demonstrate how we can use Azure information protection to secure sensitive data transfers over email. My organization is using Office 365. With recent content search I found out sales team shares credit card details of customers via emails. These are very sensitive data and I want to make sure they can’t share these data with anyone else (internal or external). 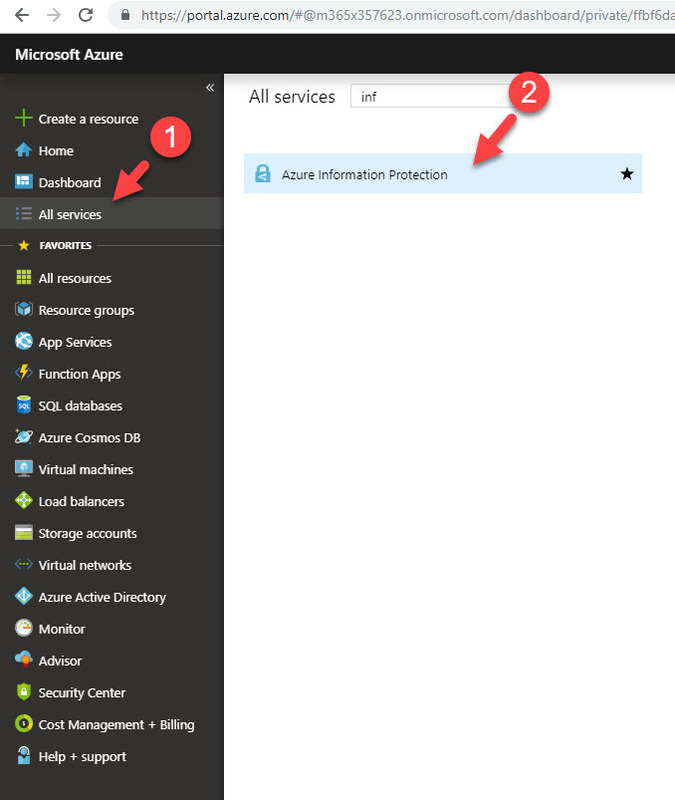 To do that first I am going to setup a new label in Azure Information Protection. 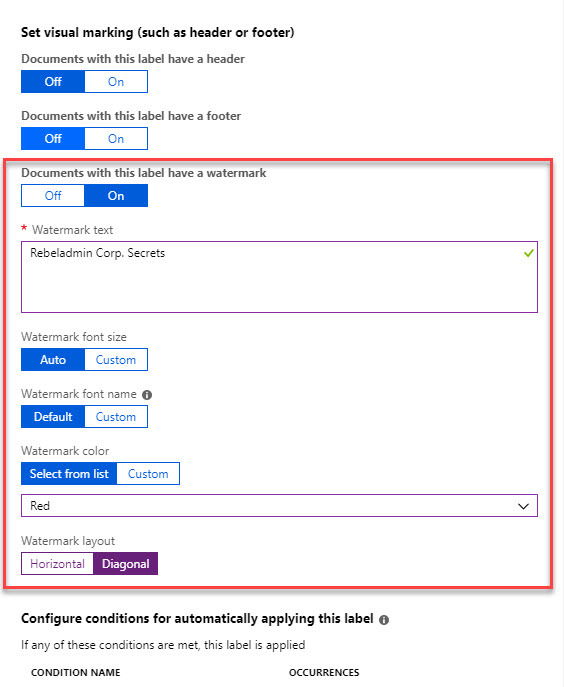 In my previous blog post http://www.rebeladmin.com/2018/12/step-step-guide-protect-confidential-data-using-azure-information-protection/ I explained how to setup labels so I am not going to repeat the steps. This new label is called CreditCardData. Megan is sales manager and she has co-owner permissions for the data with this label. Rest of the sales team is only having viewer permissions. They only can read the data. For testing purpose, I am using one of the sales user Isaiah. The data protected by this label will have watermark applied. Also, I like to apply this label automatically to any data with credit card number. for that I am using a condition. 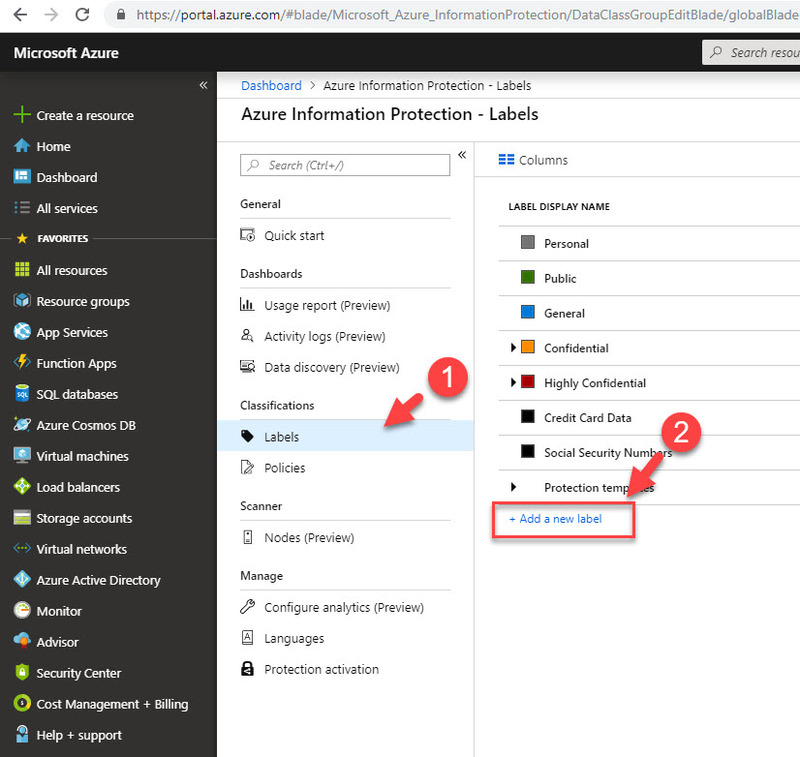 In my previous blog posts, I explained what Azure information protection is and how we can use it to do data classification and protect sensitive data. 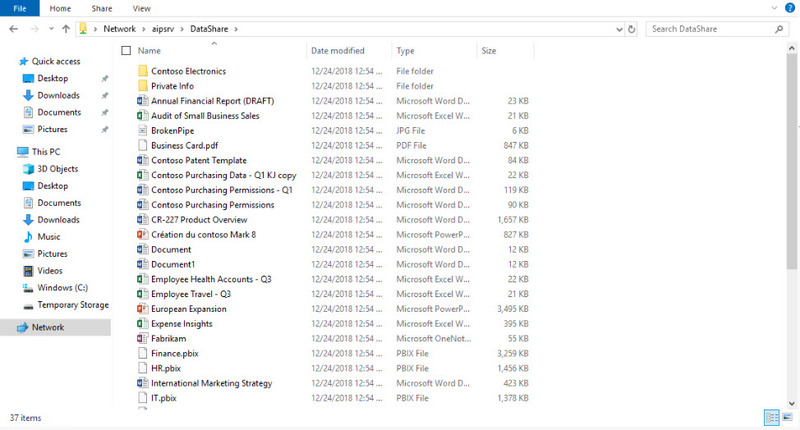 In those, I was using data stored in corporate OneDrive accounts. 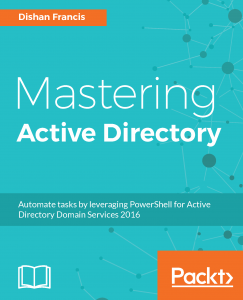 But in most cases organizations use on-premises file servers. 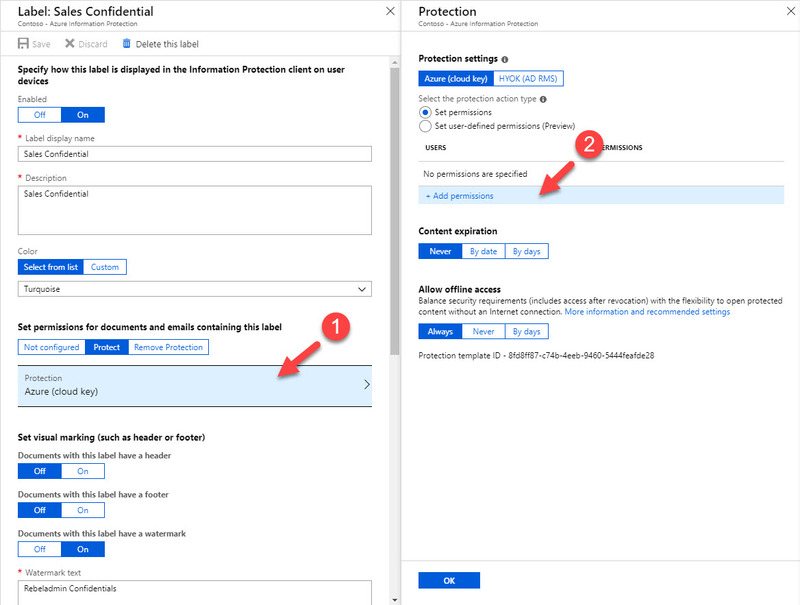 in this blog post I am going to explain how we can use Azure information protection with on-premises file shares. 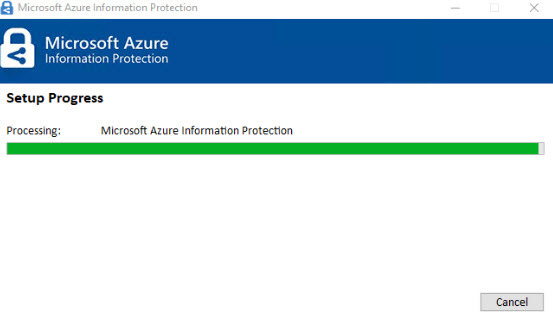 To do this we are going to use component called Azure Information Protection Scanner. 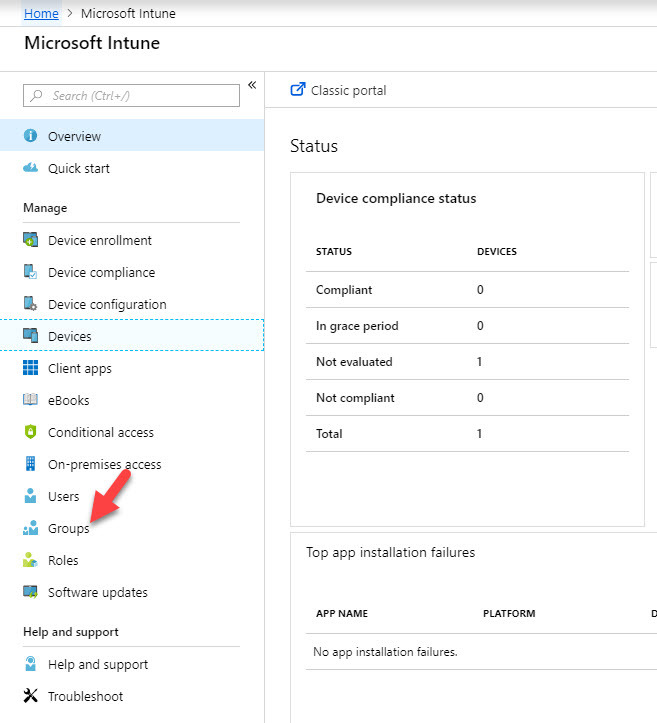 This comes with Azure Information Protection add-on that we normally install in user computers. 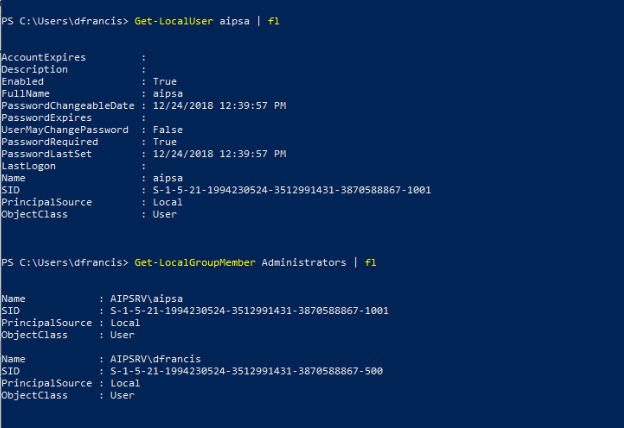 3) Service Account to run the service – Ideally this should be AD sync account and should have log on locally & log on as a service permission. 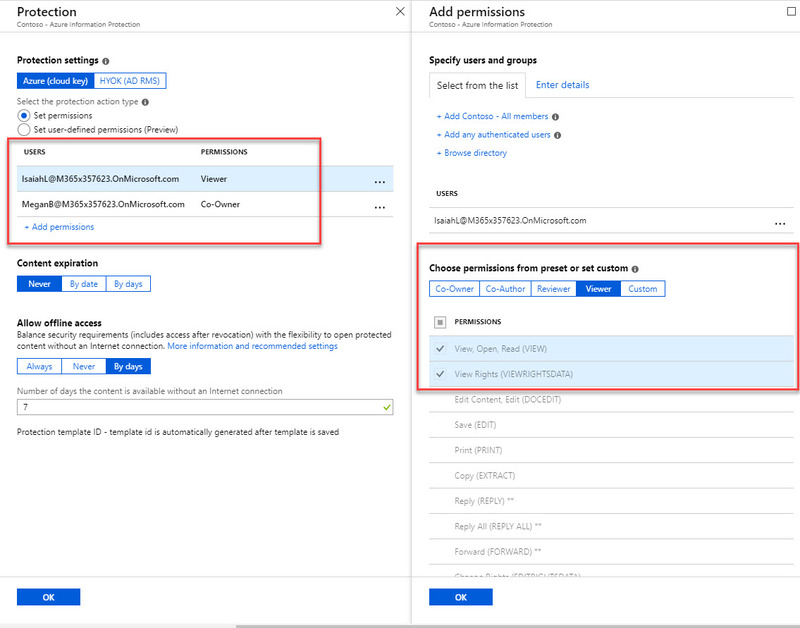 If you have lockdown environment, you can use local account to run service and separate Azure AD account to do authentication. In my demo I am going to use this method. 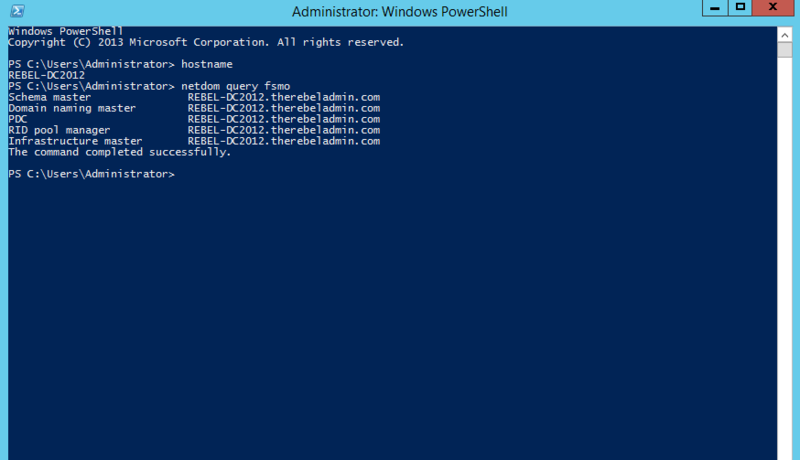 In my demo server I have created a local user called aipsa and assign local administrator rights. 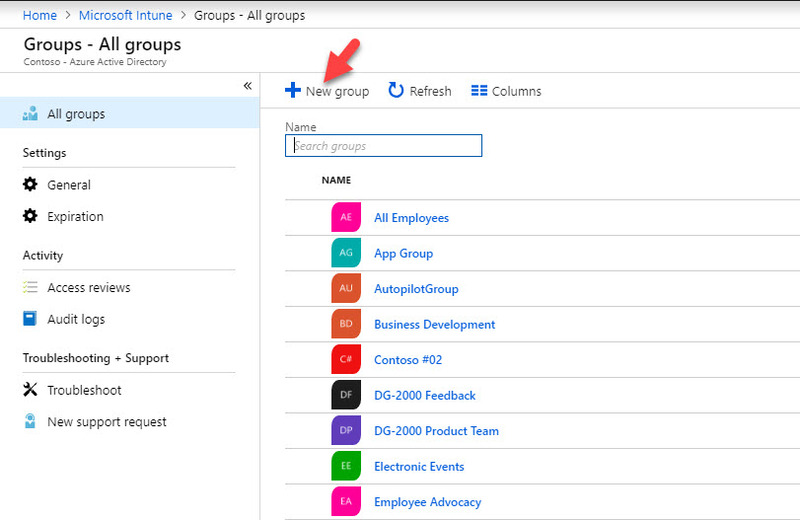 For demo purpose I have created a file share called DataShare and add different types of files to it. 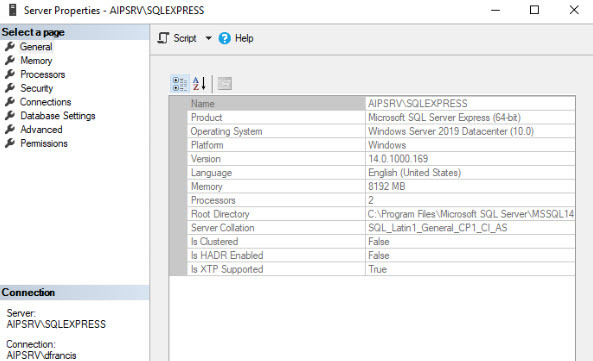 In my demo server I have SQL Server 2017 Express installed. This will use for AIP Scanner. We need full AIP client install before we start the scanner configuration. 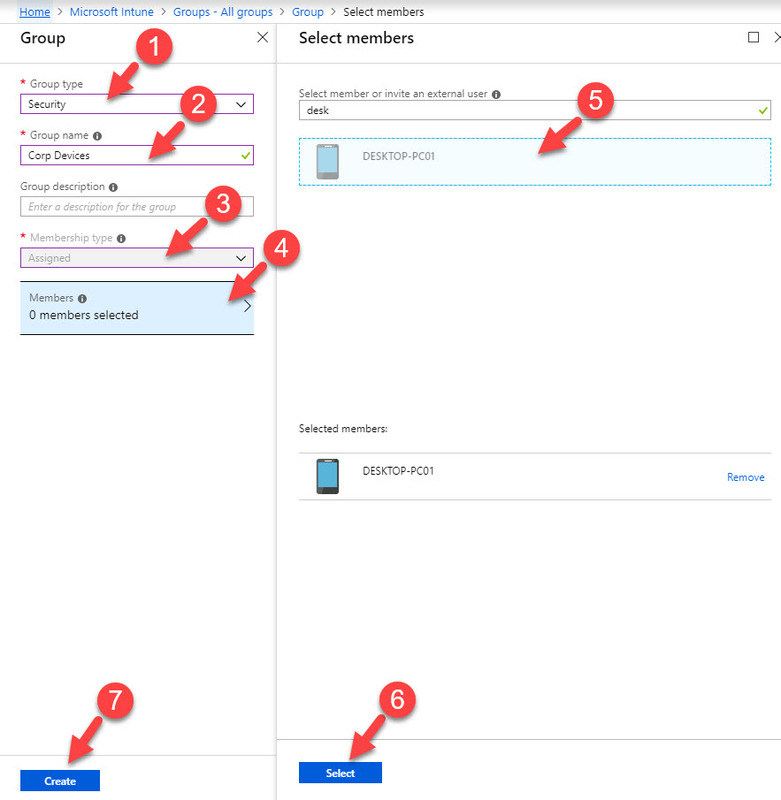 In my previous blog post I explained how we can use Azure information protection to protect sensitive data in an organization. 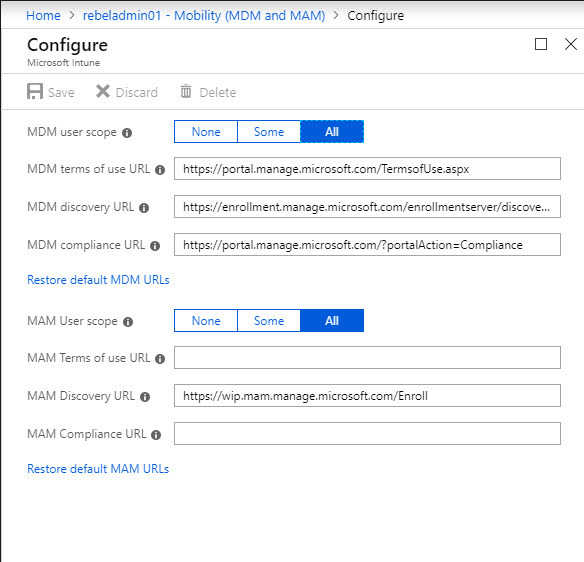 You can access it using http://www.rebeladmin.com/2018/12/step-step-guide-protect-confidential-data-using-azure-information-protection/ . 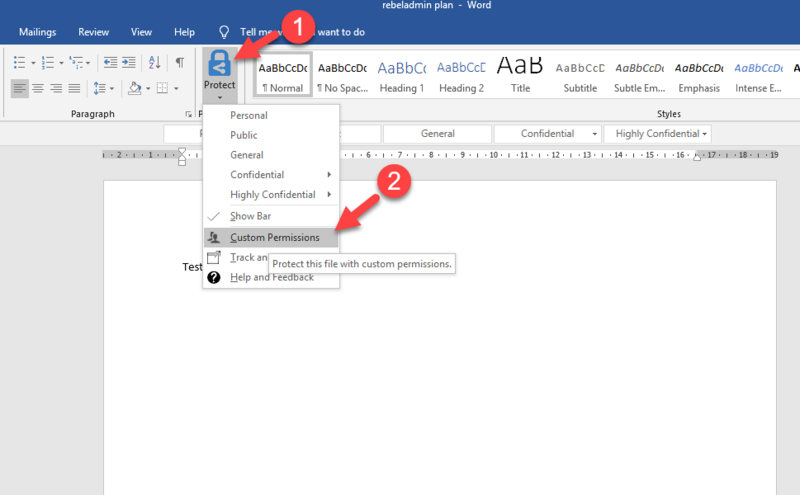 In that post I have created labels with permissions and assign it to documents to protect sensitive data. But in an organization, we deal with lots of data. So, applying label manually is not practical. Therefore, AIP offers automatic data classification to overcome this challenge. 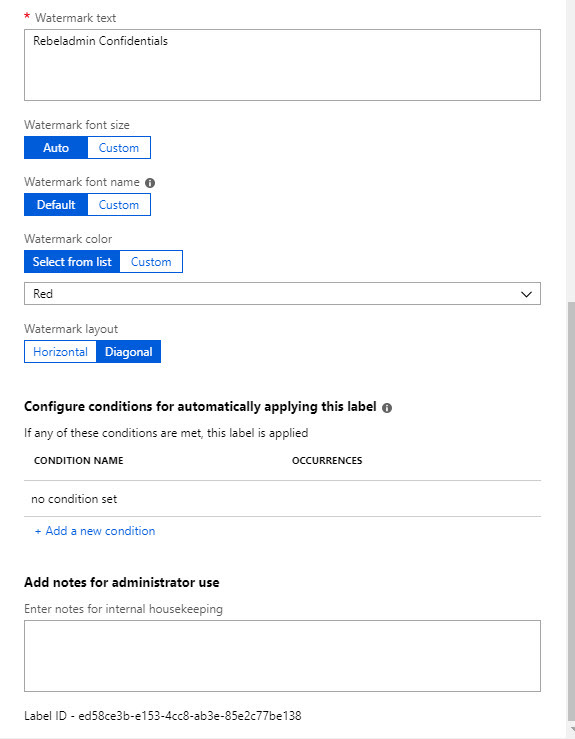 Using this feature, we can apply conditions to labels. 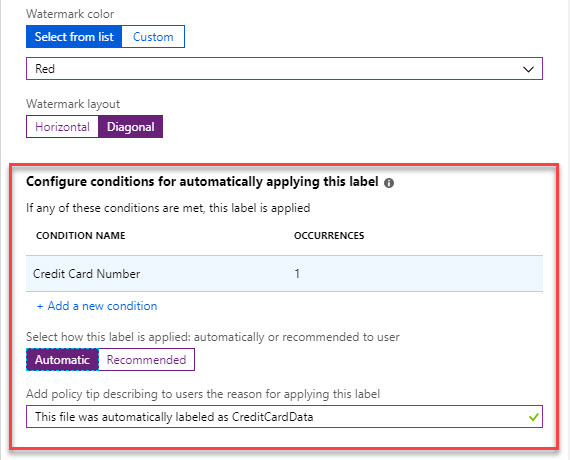 When conditions are met, it will automatically apply the relevant label to data. This feature supports many industry recognized information types. It also allows to create our own conditions with information patterns specific for our requirements. 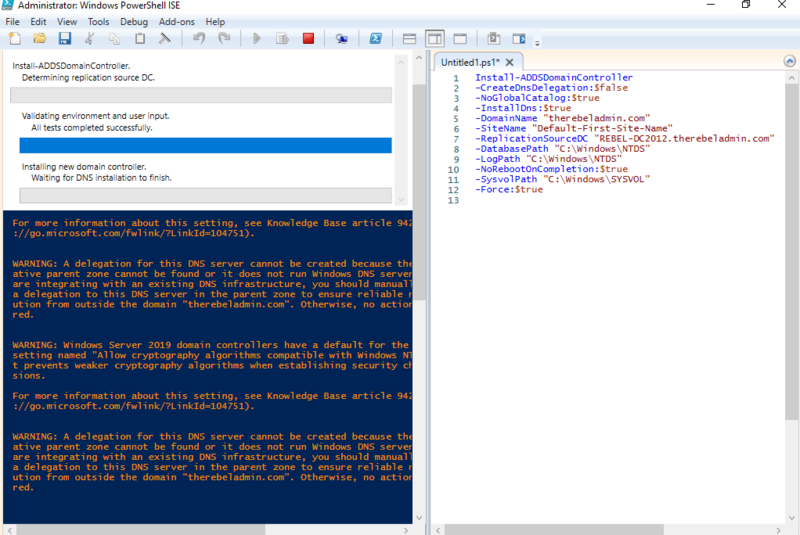 In below I list some examples for predefined information types available in AIP. Actions followed by condition can be either automatic classification or recommended classification. If it is automatic classification, label will apply immediately after conditions are met. If its recommended classification, system will recommend the label but will not apply it to data. So, let’s see it in actions. Data is the new oil. It created new currency, it opened up new opportunities, new revenue streams. When more and more data been transferred in to digital format, it opens up new security concerns about confidential data. How we can make sure corporate confidential data not been shared? I have some confidential data saved in OneDrive. It is being shared with my sales team. Majority of team members are working from home at least 2-3 days in the week. I need to make sure this confidential data not been shared with anyone else. In this demo I am going to show how I fix with this issue. 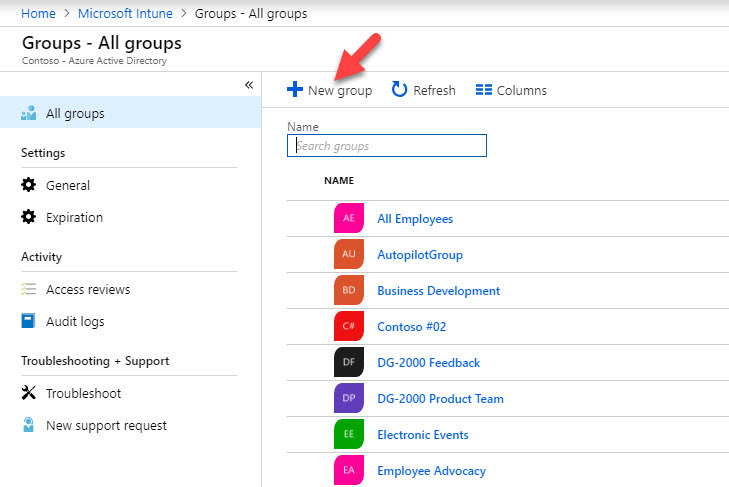 The solution that I am going to use in here is Azure Information protection. This works with labels & permissions. We can label data and associate relevant permissions to it. Permissions define what users can do and can’t do with data. 4. In new page, provide name and description for the label. 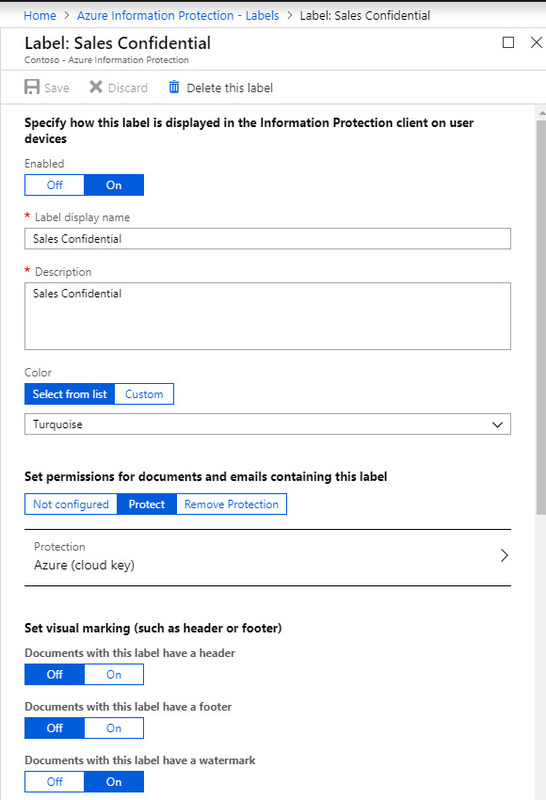 Then click on protect under Set permissions for documents and emails containing this label. 5. 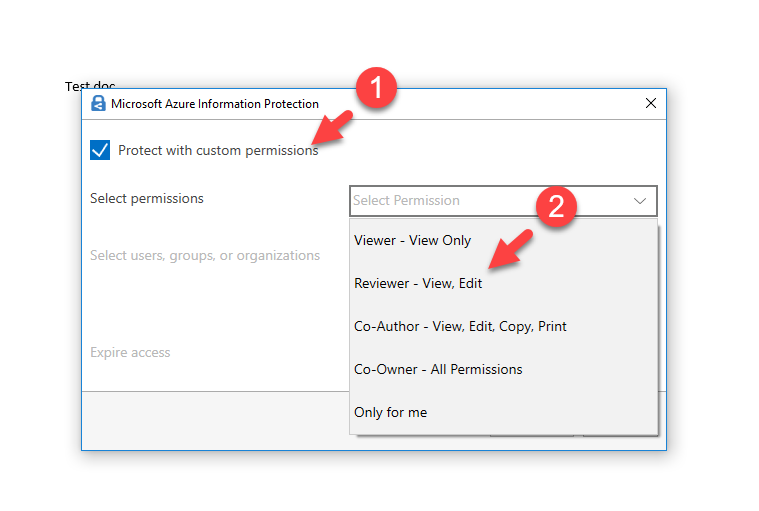 Click on Azure (cloud key) and in new window click on Add permissions.